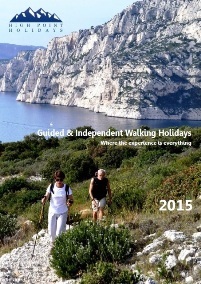 2019 Walking Holidays Brochures have been sent out to recent customers and people that have ordered brochures or made enquiries. 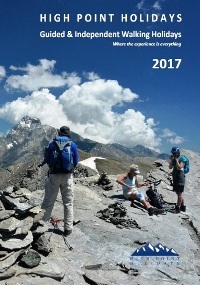 New holidays include the Pyrenees GR10 Trail: Part 1, Part 2 & Part 3, Slovenia: Slovenian Explorer & Triglav National Park; Italy's Piedmont; Burgundy Explorer & Classic Burgundy Trail; Brittany's Coast of Legends Part 1 & Part 2; and South West England's Hart of the Cranborne Chase & The Mendip Way. Congratulations to K. Wilkinson, Yorkshire and D. Regan, Cornwall on winning copies of Raynor Winn's The Salt Path. 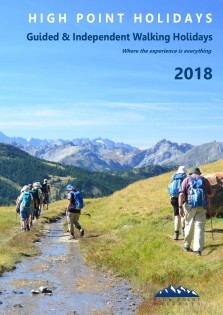 April's Newsletter looks at UK Coastal walking holidays as well as new holidays and advice for staying safe along the coast. Congratulations to J. Andrews, Pembrokeshire and S. Burrows, Suffolk on winning signed copies of Ursula Martin's book One Woman Walks Wales. The answer to the question was St David. 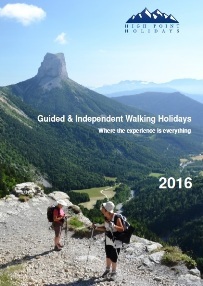 March's Newsletter looks at walking in the French Alps and a new holiday in the Ubaye. Review of Ursula Martin's One Woman Walks Wales. New competition to win a signed copy of Ursula Martin's book One Woman Walks Wales. 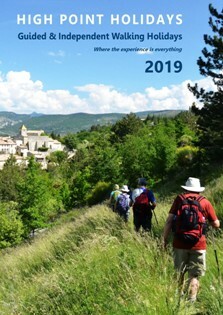 February's Newsletter focusses on our Burgundy Walking Holidays and looks at a new holiday in the Brionnais. Congratulations to K. Young, Aberdeen and M. Sykes, Nottingham on winning copies of Sunflower Books' Costa Brava and Barcelona Guidebook. The answer to the question was Cadaques. Congratulations to L. Ledger, Notts and T. Loader, Sussex on winning copies of Phoebe Smith's Britain's Best Small Hills. The answer to the question was Beacon Batch. Happy New Year to all our customers, subscribers and friends.